Jesper Berman received his BSc and MSc degrees in Computer and Systems Sciences from Stockholm University, respectively in 2012 and 2015. 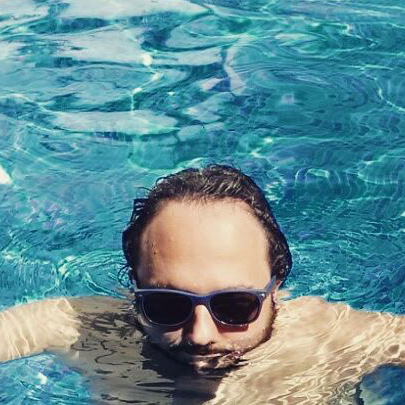 From 2012 to 2015 he was an IT specialist responsible initially for derivatives platforms, and later for the system surveillance at the European Nasdaq stock exchange. In 2014, he became a research and teaching assistant at the Department of Computer and Systems Sciences and one of the key people in the Cyber Systems Security (CS2) lab. During this time, he participated in the EU project Digital Forensic Evaluation and Testing (DFET – 2014 – 2016), and two SU projects. 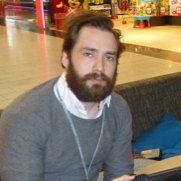 In the fall of 2017 he was admitted as a full time PhD student in Digital Forensics at Stockholm University, and is funded by the Nord Forsk organisation under the umbrella of the Police Detectives on the Tor (PDTOR) network project that should run through 2022. Piotr Brogowski, co-founder, CEO and VP of Orion Instruments Polska, a company specializing in security event management systems and automation and incident response systems, especially SIEM and SOAR platforms (Security Orchestration, Automation and Response); expert and author of numerous publications and public speeches on legal and practical aspects in the field of cybersecurity and personal data protection including GDPR. 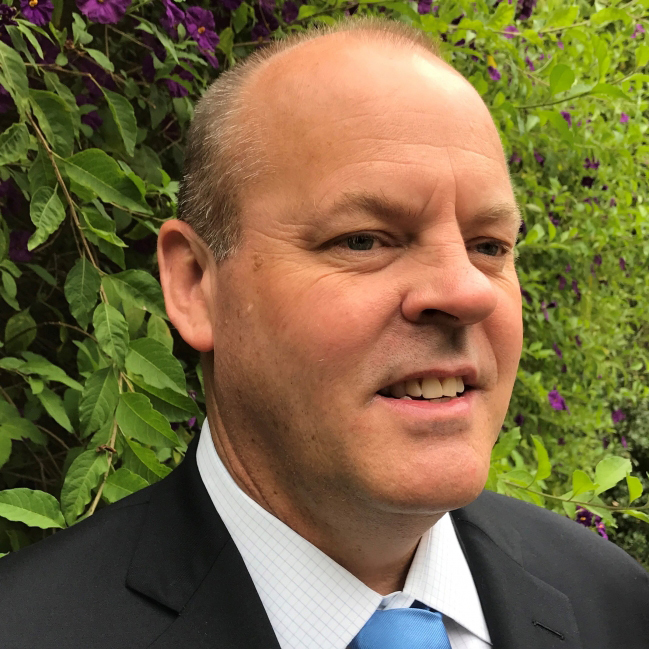 Jeffrey Carpenter has dedicated more than 25 years to improving the state of information security in roles such as analyst, product security officer, information security officer and leader. 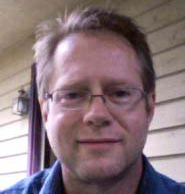 In 1995, Jeffrey joined the CERT® Coordination Center, located at Carnegie Mellon University’s Software Engineering Institute, as an incident response analyst. He became the incident response team leader in 1998 and technical manager in 2000. Jeffrey managed more than 50 technical individuals who conducted applied research and operational analysis with a focus on incidents, software vulnerabilities, network monitoring, malicious code, vulnerability discovery, and secure coding. 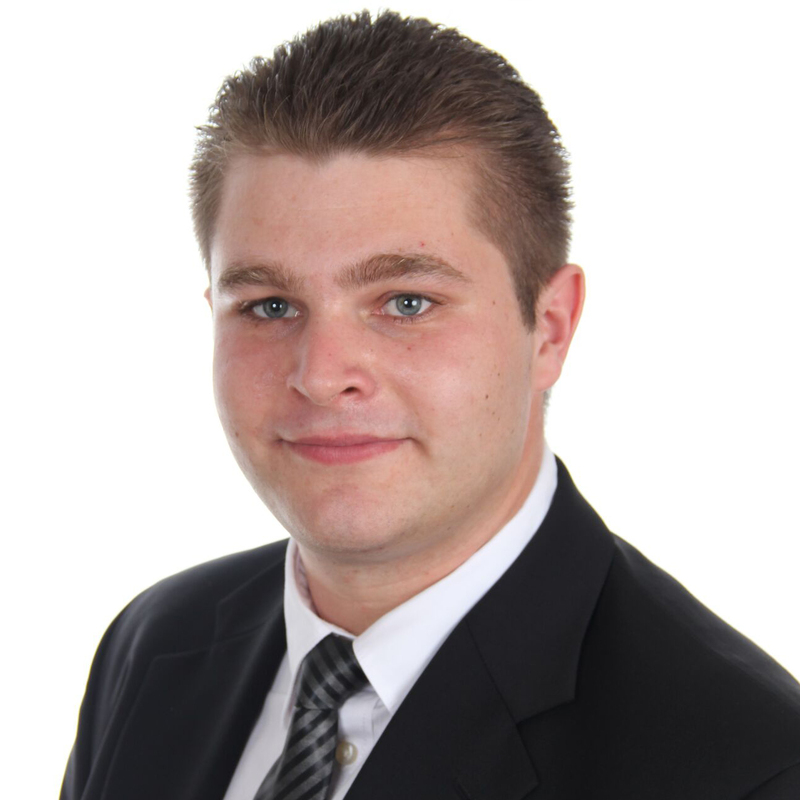 Jeffrey applied his insights and experience to further the focus on security at a government and international level. He was instrumental in helping the U.S. Department of Defense and the U.S. Department of Homeland Security create teams to exchange incident information and indicators between government and critical infrastructure organizations. 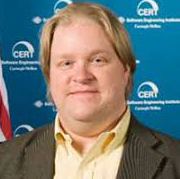 He also worked closely with the U.S. Department of Homeland Security on the formation of US-CERT, the national computer security incident response team (CSIRT) for the United States. Jeffrey helped many other governments and regional organizations around the world establish national incident response capabilities as well. To promote collaboration among these organizations, he founded a successful annual conference for technical staff working for CSIRTs with national responsibility. Jeffrey’s active involvement in the incident response community over the years has included presenting in various forums and serving on Forum of Incident Response and Security Teams (FIRST) committees and working groups. Jeffrey currently is the Secureworks Senior Director of Threat Intelligence and Incident Response Consulting. The Threat Intelligence group is part of the Counter Threat Unit™ (CTU) and delivers threat intelligence services to clients. The Incident Response Consulting Practice provides rapid containment and eradication of threats, minimizing the duration and impact of a security breach for Secureworks’ clients, as well as helping clients effectively prepare to have an incident. Just before joining SecureWorks, Jeffrey was a product security and information security officer in the healthcare division at Royal Philips. In that role, he focused on improving security in the product development lifecycle for medical devices. He also helped improve security in the creation and operation of services that are used by patients, customers, and clinicians, and that also exchange data with medical devices in the field. 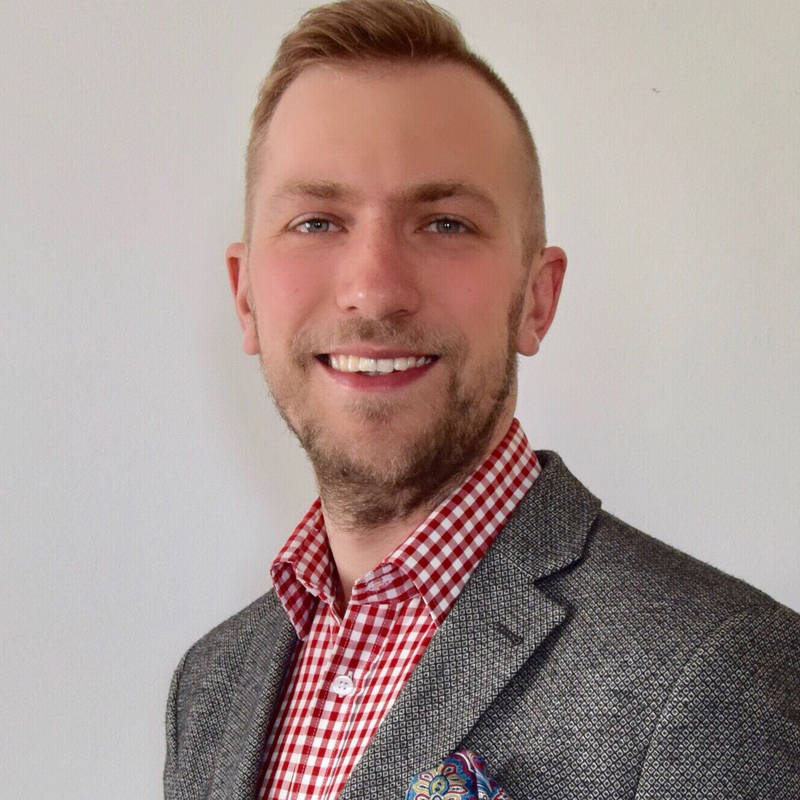 In addition, Jeffrey worked closely with members of the sales and marketing teams to develop training and materials that would increase the efficiency of customer interactions by helping sales and marketing staff answer customer security questions more quickly and completely. In his spare time, Jeffrey responds to other kinds of incidents as a volunteer firefighter and fire police officer. He has been an administrative officer at his fire company for most of his service, serving as recording secretary, president, and currently as vice president. Avi Corfas has more than 30 years of software sales and management experience. 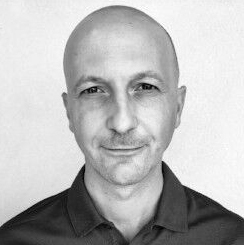 Prior to joining Skybox Security, Corfas was Executive Vice President (Europe, Middle East, Africa) at @stake, a leading information security consulting company. He is a former chairman of EEMA, the European Association for e-Identity and Security. Corfas holds an EMBA degree from France’s Haute École de Commerce. 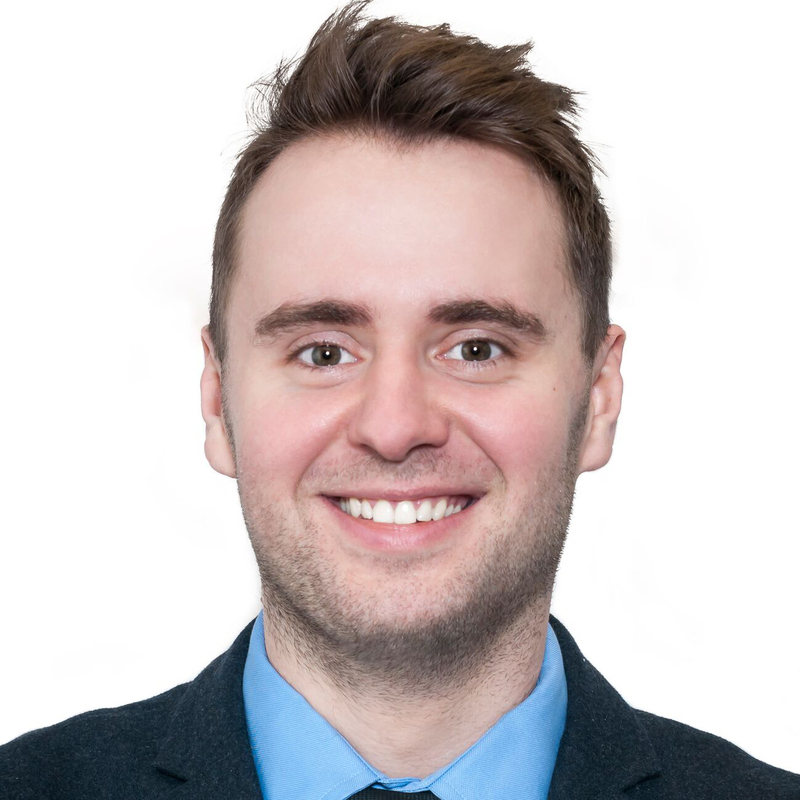 Robert Dąbroś CISSP, an AGH graduate who deals with broadly understood data security. 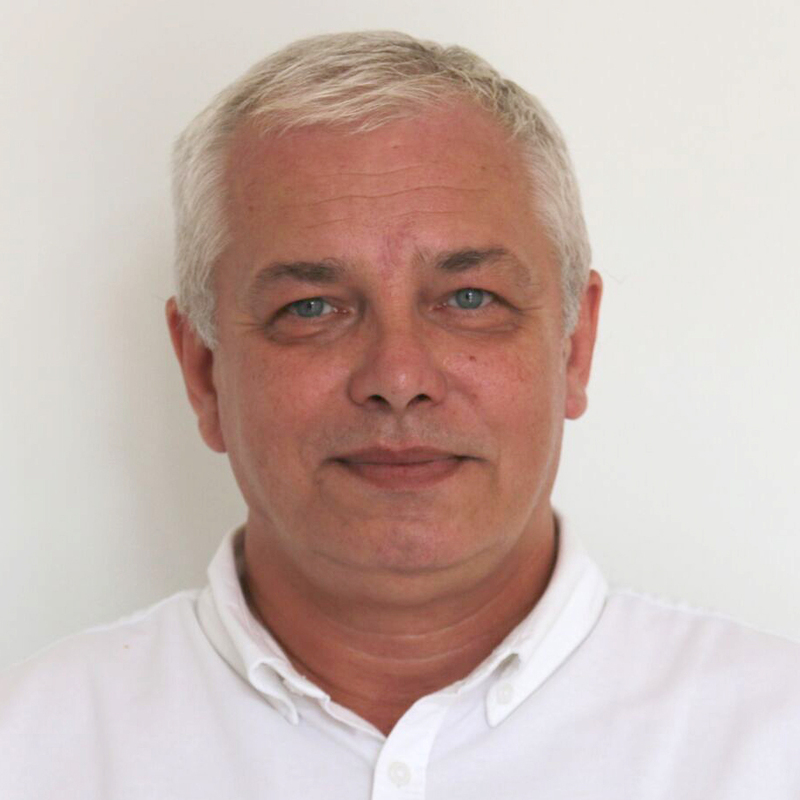 He gained his over 20 years of experience in DNS Polska, McAfee, Imperva and now Fidelis Cybersecurity. IT security expert, member of ComCERT.PL Team, the team that delivers IT incident response related services. Military University of Technology student, head of the cybersecurity students association, actively participating in the Capture The Flag contests within the association’s team. Twice awarded for reporting security vulnerabilities in Microsoft products. He got a team award for the best decision document in a cyber-conflict case during the Cyber 9/12 Europe contest, organized by Atlantic Council. 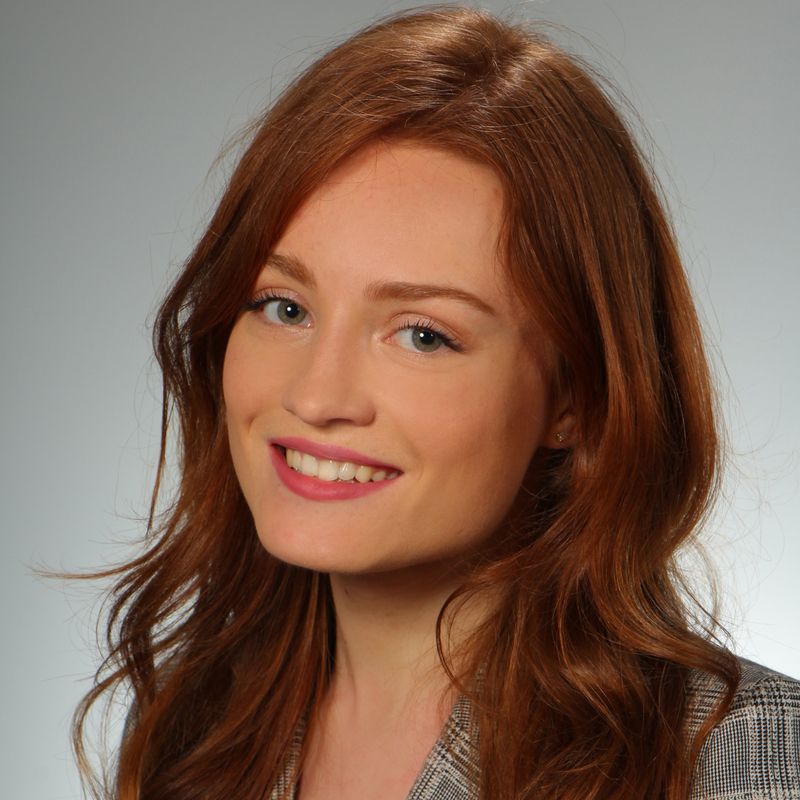 Olga is a leader in the EY Advanced Security Services Team. She is a PhD student at the Military University of Technology. She specializes in the area of mobile security, data privacy and SDLC processes. She conducted dozens of security tests and shares her professional experience with students. 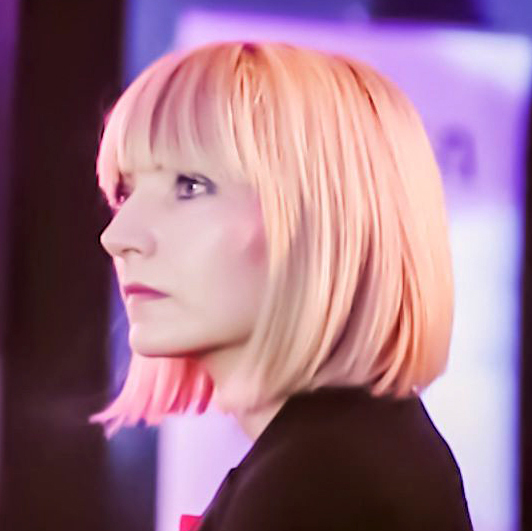 Apart from cybersecurity activities, Olga works creatively in the experimental organization Roast Masters, of which she is the founder. Originally an outsider from Cyber Security (I am a linguist and I hold a master’s degree in International Relations), I have been dealing with it for ten years now, mostly on the Strategy and Partnership Development side, first with FIRST and, since 2014, with the European Chapter of APWG. In my real life, I am a senior analyst at CaixaBank’s Security Department, working on Corporate Intelligence and on Non-Financial Risk (mostly, International Security). 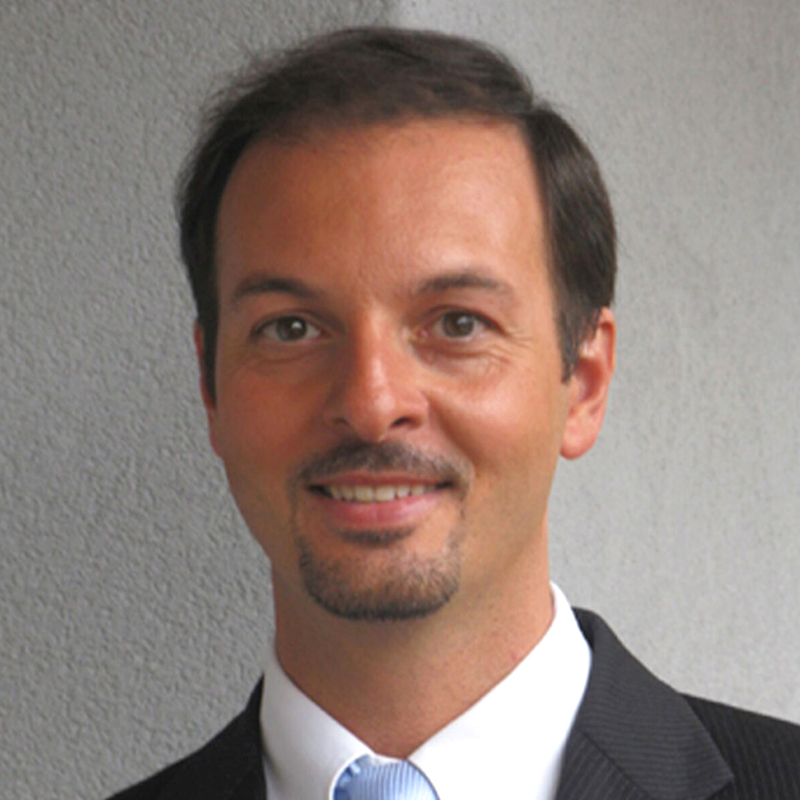 Andrea Fumagalli is Vice President of Engineering at DFLabs, an ISO 9001 certified company. DFLabs is a respected leader in the SOAR area (Security Orchestration Automation and Response), Cyber Incident Response and Security Operations Technology and Services. With over 20 years of experience in Information Technology and Cyber Security, Andrea works globally with Worldwide Organizations. He assists Fortune 500 multinational companies to government authorities, on organizational as well as security technology related projects. Andrea’s experience includes: Incident and Breach Response, Security Operations, Credit Card authorization systems, fraud prevention and detection systems, online transaction inspection systems and financial mission critical applications. He also works closely with clients to setup or reorganize the Security Operations Centers (SOC) and Incident Response Teams (CSIRT), using DFLabs innovative technology to orchestrate and automate processes and machine actions. Andrea collaborated with the faculty of IT Systems and Network Security, at the University of Milan, teaching “Management of IT Cybersecurity Incidents”. Over the years he has helped a variety of businesses and organizations adopt International Standards and Best Practices in Cyber Security Incident Response domain. Clients then leverage the principles and convert them into actionable Runbooks and Playbooks that are easily implemented and have proven to be invaluable for future protection. Engineer who from the beginning of his carrier is dealing with network and security topics with great experience in integrator & telco companies and at universities. Then, as the Director of IT Integration at one of the Polish integrators. Nowadays a manager in a consulting company in Cyber Security area. He has CISSP and CCIE Security certificates. Graduate in International Economics faculty from Warsaw School of Economics. Since 2013 he has been taking part in several international projects regarding either cyber security area or national security as a whole. Twice he served as a project assistant in the international Warsaw Security Forum conference (2014, 2015). 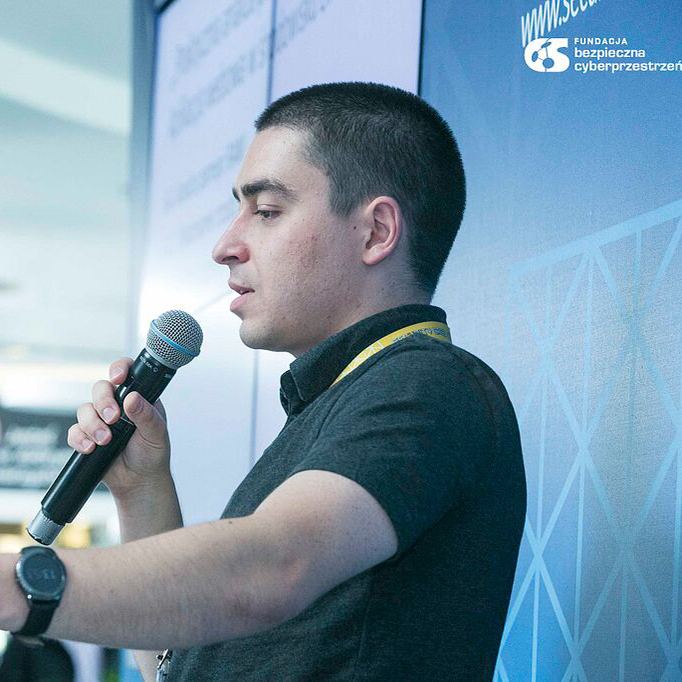 In 2015, while holding position of Cyber Security Programme Coordinator in Casimir Pulaski Foundation, he initiated research programme „[cyber]securing Ukrainian Critical Infrastructure”, which was granted by International Visegrad Fund. He also worked as business communication executive. I’ve been working for Polish Security Printing Works since 2000 and I went through all levels of support in the IT department… help desk, antivirus, backup systems, local and internet banking systems and so on. Later I was responsible for all Microsoft systems in my company,. Active Directory, Exchange, SQL, LYNC/Skype and all other Microsoft technologies implemented in my organization in the last 15 years. Participation in many internal and external projects, prompted me to broaden my knowledge in project management. In 2016 I graduated in Project management at Warsaw Technical University with Prince 2 cert. path. Currently I’m project manager responsible for important government project and some internal technical improvements in my organization. IT and Cyber Security expert with focus on business goals and processes. 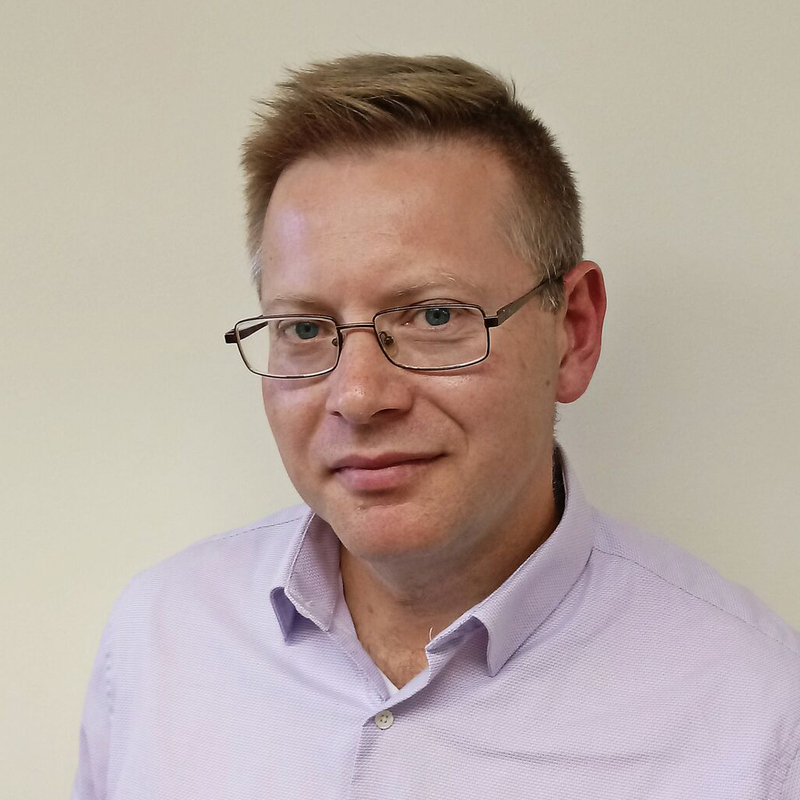 Alek has 20 years of experience in securing complex IT solutions, government oriented perspective on cyber as well as project management and change management in large organisations. 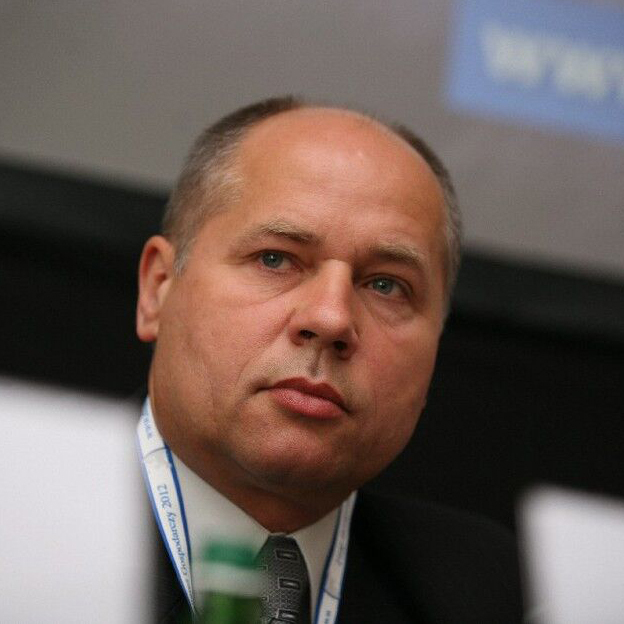 Alek Goszczycki today is in position of managing director of Defence department at Matic. Matic team is devoted to improve government security in cyberspace, implement available technologies to protect critical infrastructure and public safety. Intellectual property and new technologies law specialist. He has experience in providing legal services to entities operating in creative industries, where intellectual property is an important element of business. He cooperates with creators and artists, film producers, cultural institutions and event organizers, architectural offices, software producers, website creators and other entities in the IT industry. Legal coordinator in the field of constant and comprehensive legal services for entities in the IT industry. Legal advisor in matters related to security issues and the law in the Internet. Security expert with passion, enjoy Python, penetration tests, security challenges and physical activities in free time. 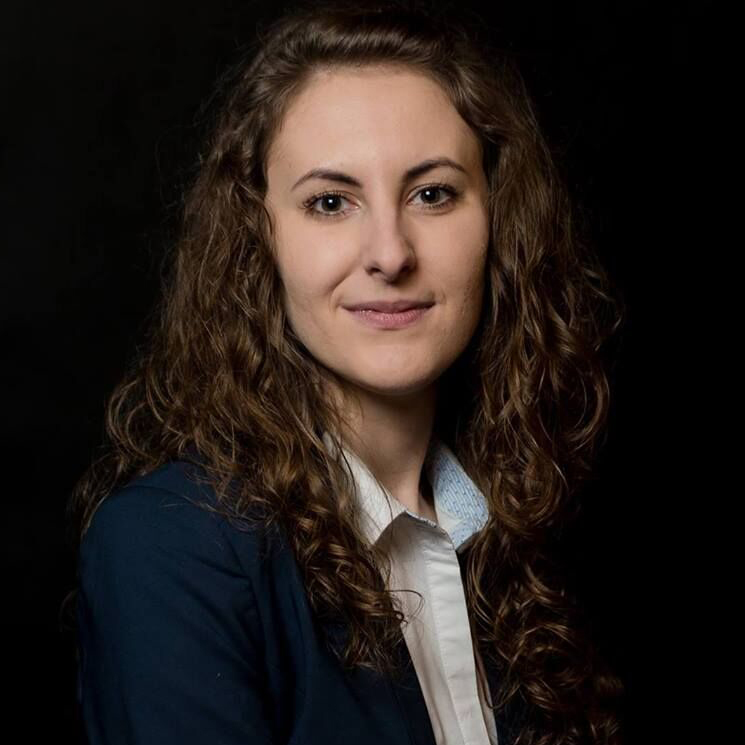 Savina graduated from Faculty of Electrical Engineering and Computing, University of Zagreb, where she obtained bachelor’s and master’s degree in Information and Communication Technology, Information Processing profile. Savina works in INsig2 as a consultant in digital forensics department and certified EnCase, CCO, CCPA, CCME and Oxygen examiner, where she is primarily responsible for forensic training and client education and also for support during demanding and complicated investigations. Savina was involved in equipping and setting up digital forensic laboratories. She has excellent knowledge in forensic tools and great experience with consulting in digital forensics investigations. 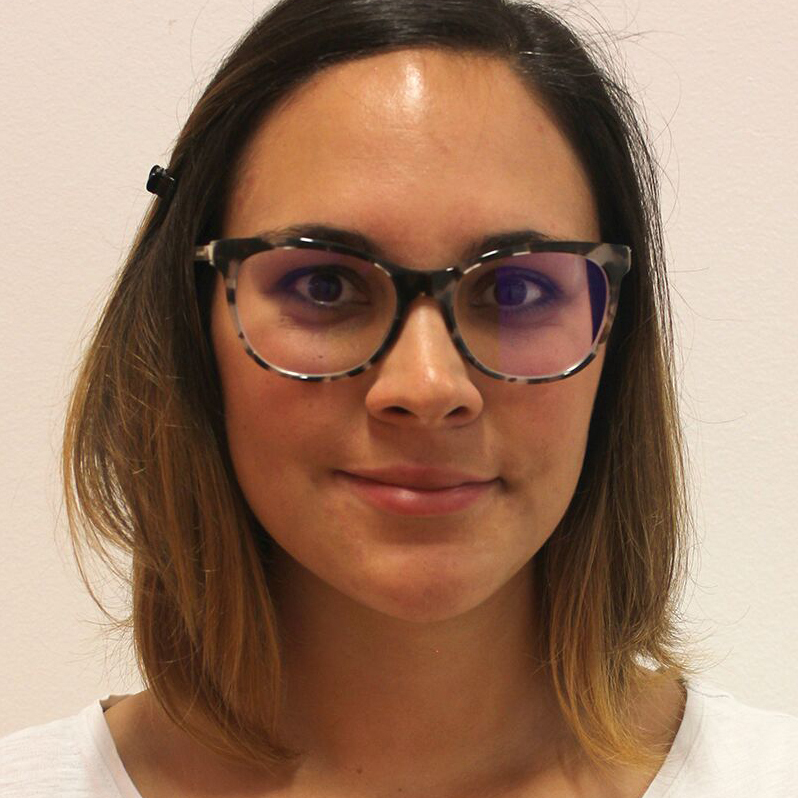 She has been a facilitator on an international DataFocus 2016 and DataFocus 2017 conference and a speaker on several other conferences and workshops related to the field of digital forensics. 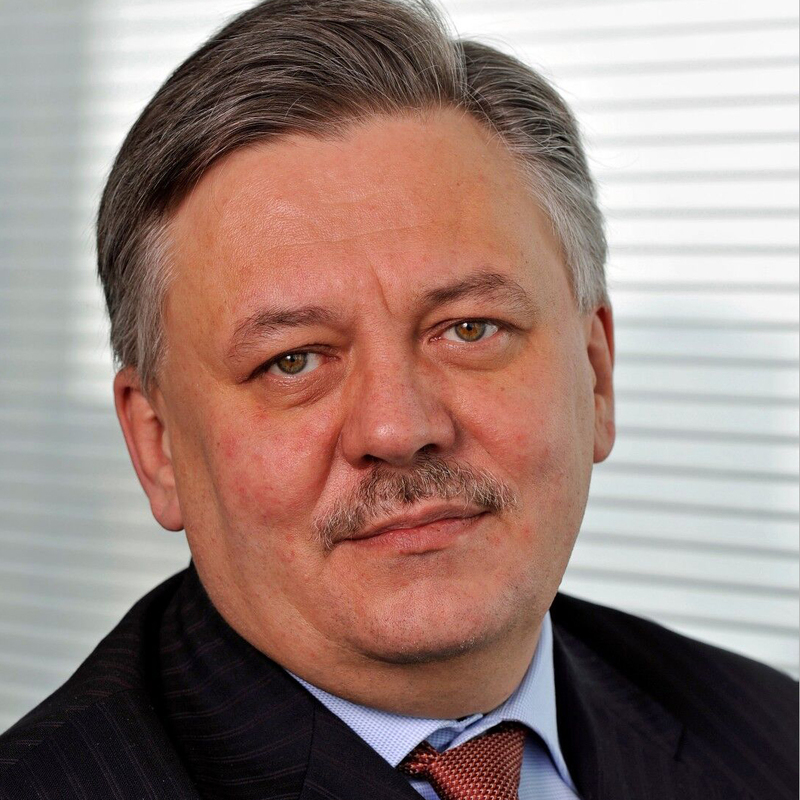 Doctor of philosophy in the field of legal sciences, prosecutor of the delegation to the Regional Prosecutor’s Office in Warsaw, professor at the Department of Information Law at the Faculty of Law and Administration of the Cardinal Stefan Wyszyński University in Warsaw. Lecturer at the National School of Judiciary and Public Prosecution. 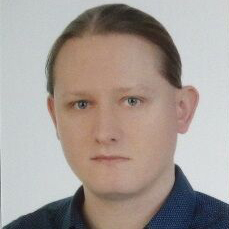 Author of publications regarding the legal aspects of computerization, personal data protection and cyber security. 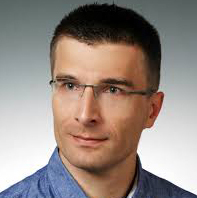 Jacek is a highly qualified specialist in IT security. He built his over 10 years of experience in the industry in the areas of: design, construction, maintenance, management and development of SOC. In everyday work, he is responsible for handling security incidents, analyzing threats, monitoring security, implementation and tuning of detection mechanisms security threats, preparation of service procedures security and security vulnerabilities management. Lawyer, graduated from the Cardinal Stefan Wyszynski University in Warsaw (Faculty of Law and Administration). He also has a degree in Data Security Management from Warsaw School of Economics post-graduate programme. Lawyer, he is an expert on personal data protection and cybersecurity. IT security specialist with dedication and passion. 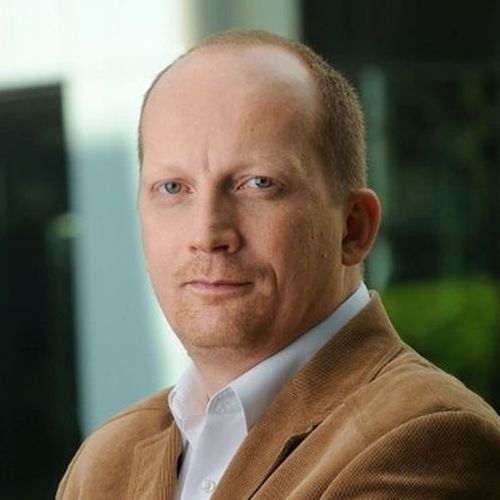 For the last years he has been in charge of information security matters in UPC Polska. Recently he has started career as a full-time cyber threats hunter and sometimes he shares these experiences on the blog. An enthusiastic speaker and trainer, who entertains and educates people at home and abroad. He did not organise his own conference only because at every such event he feels himself at home. Master of Science in Information Technology. From a teenage age, she is interested in programming and reverse engineering. She actively participates in IT security net societies where shares her experiences and projects such as freeware/open source apps or articles. Currently, she holds position of a malware analyst in Malwarebytes as well as runs her own security business. 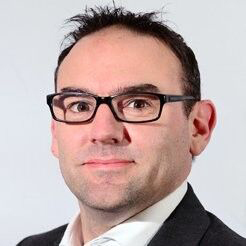 Jeroen Herlaar is a Director Europe West, at MANDIANT, with more than a decade of experience in building and managing cyber security practices. 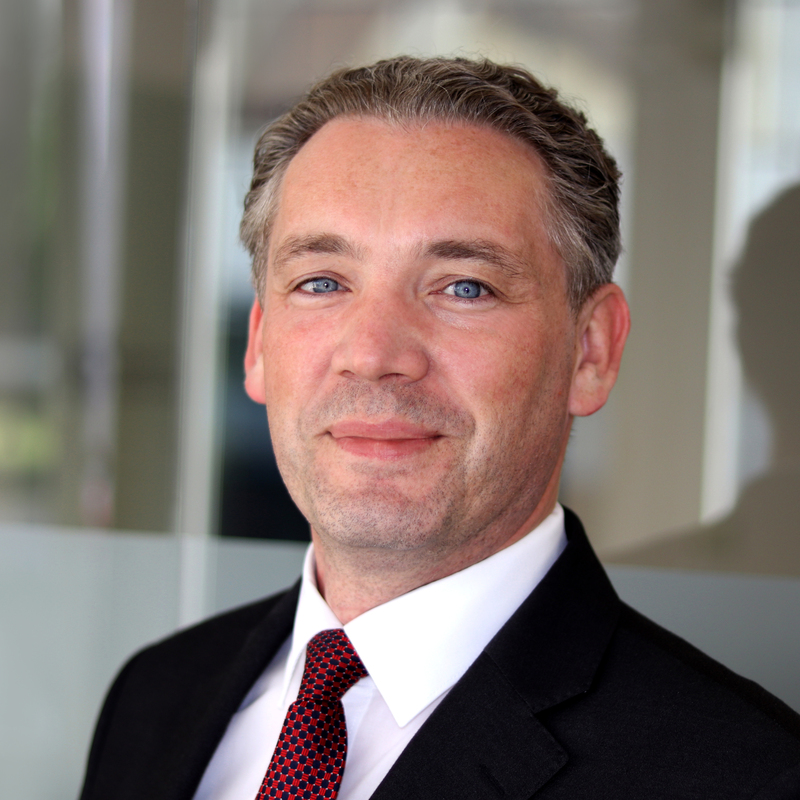 Prior to joining MANDIANT, Mr. Herlaar spent eight years working at a leading Dutch cyber security company. There he built, and managed their cyber security capabilities, including penetration testing, security monitoring, incident response, threat intelligence, and online fraud detection. 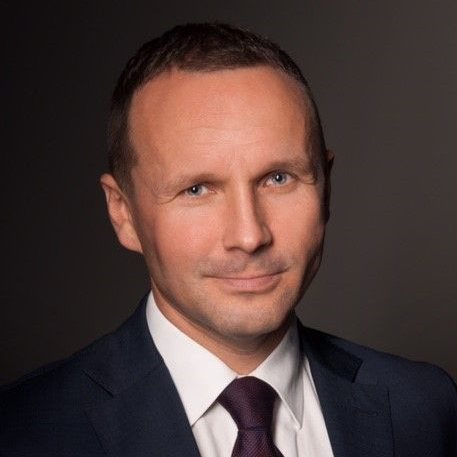 With Mandiant, Mr. Herlaar has overseen multiple incident response investigations across the EMEA region, providing guidance to the victimized clients. A graduate of the Gdańsk University of Technology. He has over 10 years of experience in IT and teleinformatic security. Specializes in security technologies in the detection of advanced attacks and identity management. As a technical team manager, he implemented IT security systems for a dozen or so companies from Central and Eastern Europe, mainly for companies from the telecommunications, government and energy sectors. He was a speaker at several industry conferences, he also conducted product trainings in the subject of security. Paula Januszkiewicz is a CEO and Founder of CQURE Inc. and CQURE Academy. 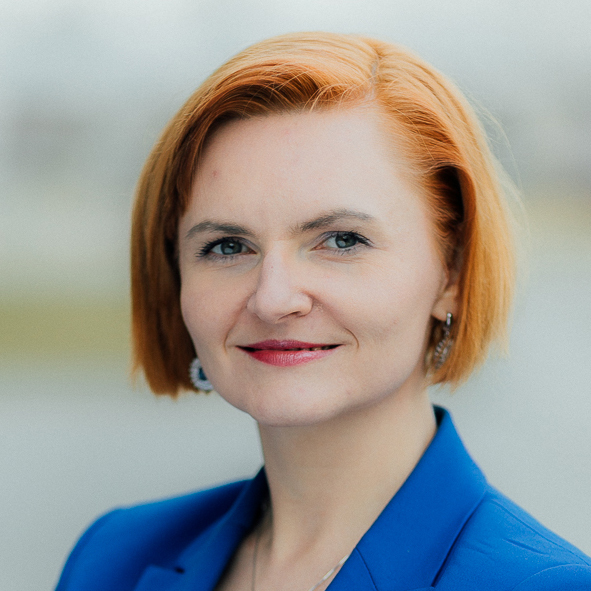 She is also Enterprise Security MVP, honorable Microsoft Regional Director for CEE and a world class cybersecurity expert, consulting Customers all around the world. In 2017, she graduated from Harvard Business School. She has her heart and soul in the company, having deep belief that positive thinking is the key to success. 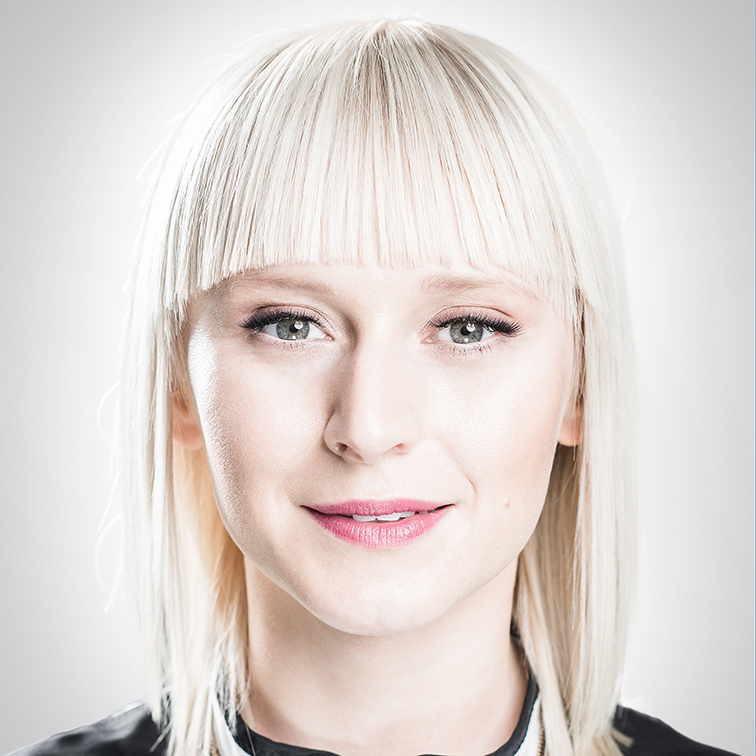 Her quality- driven approach, extreme attention to details and conference speaking publicity have brought CQURE, at its early stage, to the never-ending world of hacks, forensics, data theft and other security challenges. 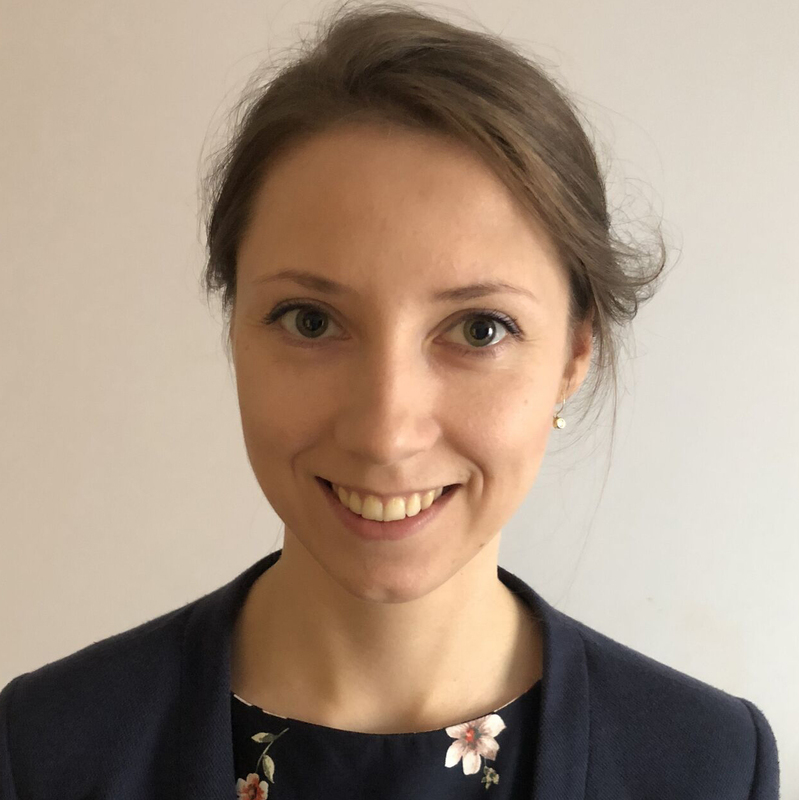 Paula established CQURE in 2008 and since then she has continued to build the team’s professional image and cybersecurity skills, currently owning and managing CQURE departments in New York (US), Dubai (UAE) and Zug (Switzerland), additionally to headquarters in Warsaw (Poland). Paula has 15 years of experience in the cybersecurity field, performing penetration tests, architecture consulting, trainings and seminars. She has performed hundreds of security projects, including those for governmental organizations and big enterprises, at the same time being a top speaker and a keynote speaker at many well-known conferences, including Microsoft Ignite (rated No 1 Speaker among 1100 speakers at a conference with 26000 attendees), RSA (in 2017 in San Francisco her session was one of the 5 hottest sessions), Black Hat, TechEd North America, TechEd Europe, TechEd Middle East, CyberCrime etc., where she is often rated as No 1 speaker. Her presentations gather thousands of people. She also creates security awareness programs for various organizations, including awareness sessions for top management (telecoms, banks, government etc.). She is passionate about sharing her knowledge with others. In private, she enjoys working with her research team, converting the results of her findings to authored leading-edge trainings and tools used in practice in projects. She wrote a book about Threat Management Gateway and she’s currently working on the next one… so stay tuned for more. Recently, Paula has become a member of the Technical Advisory Board at Royal Bank of Scotland – helping to keep its security at the highest level possible! She has access to a source code of Windows, an honor granted to just few people around the world! Executive in the Bitcoin, blockchain, payments, email security, anti-phishing, secure messaging, and Internet security industries. He has strong background in public and private company management. 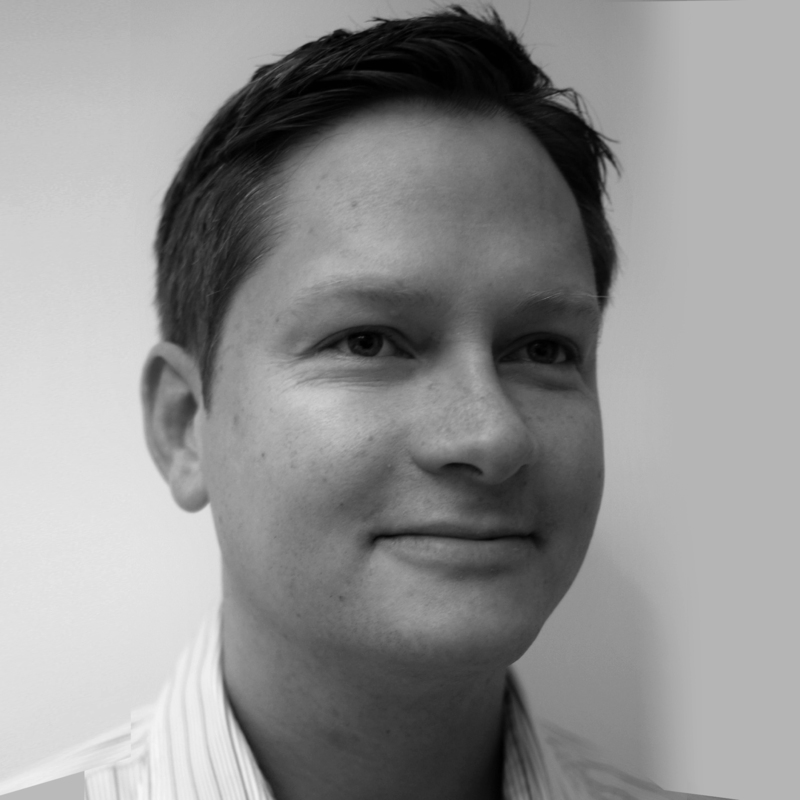 Dave has deep experience with venture capital funding, technology marketing, IPO, mergers & acquisitions. He founded and sold 3 internet security companies. Inventor of 17 issued US Patents for security and encryption. Marcin graduated from Warsaw University of Technology. He gained experience during many projects, concerning the implementation of IT security systems, monitoring of network and efficiency, as well as in the field of designing and building Data Center. He took part in implementations and trainings for the largest clients from the energy, financial and public sectors. Student of Professor Andrzej Grzywak. Passionate about computer science, exploring for over 20 years issues related to INFOSEC and author of more than 100 publications in this area. Academic lecturer, social activist, project manager, strategic consultant, trainer, auditor. Consultant at Information Security Office running within Silesian University of Technology, plenipotentiary of the board in Netology Sp. 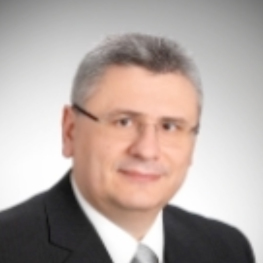 z .o.o., member of the board of IT Security SIG within Polish Information Processing Society . Hobbistically involved in the project entitled: “inSecure book” (http://insecurebook.pl), which is by design a collection of false, written with a pinch of salt, stories related to IT security, whose authors are both professional security specialists and professionals’ apprentices. 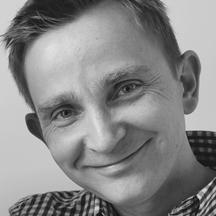 Tomasz is an expert in the field of strategy and visionary. He has over 30 years of experience in managing technologically advanced companies, including 10 years as senior manager in the largest telecommunications companies. 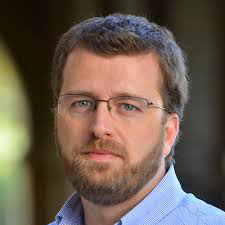 He is also the author of the methodology in the field of IoT value creation and assessment of the IoT ecosystem’s complexity. 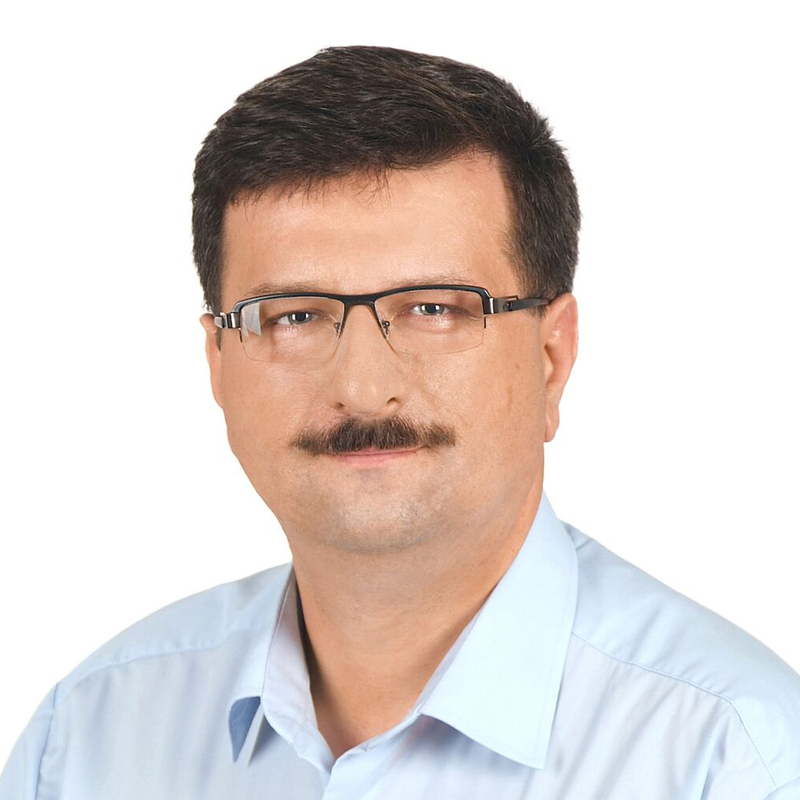 He has knowledge and extensive practical experience in the definition of IT / OT / IoT strategy and business adaptation, construction services and business technology organizations, and reliable IT / OT / IoT systems, including solution architectures and system planning. 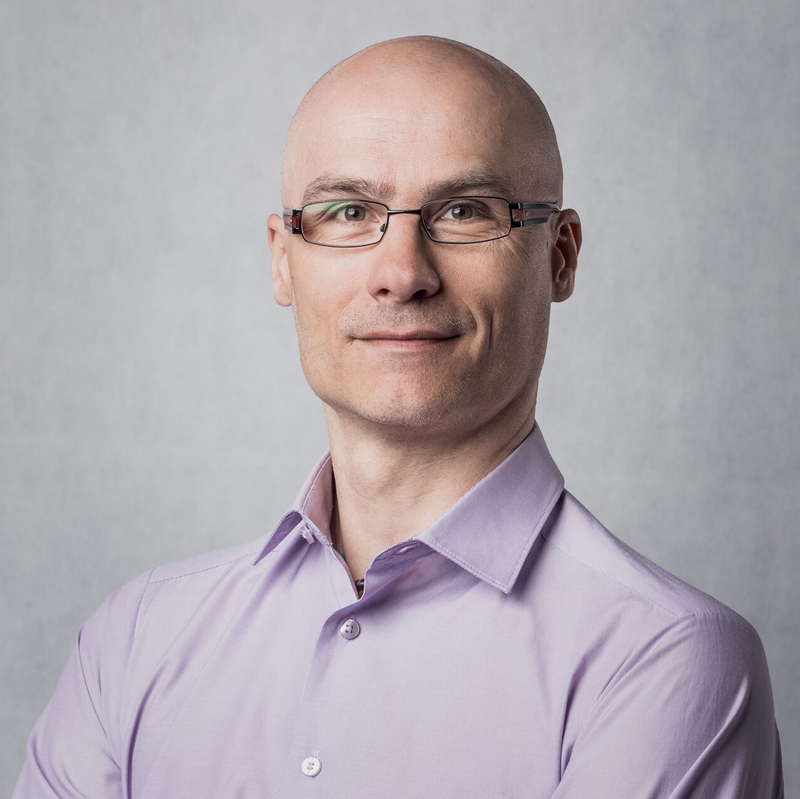 Marco Klockenkämper has previously held roles in Technical Support, Support Engineering, and Inside Sales where he managed a team to improve product workflows and handled customer support requests. 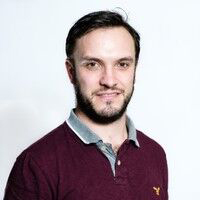 Marco currently works as a Sales Engineer at Magnet Forensics for the DACH region, consulting with the Research & Development and Sales teams to communicate customer feedback to improve the capabilities of Magnet AXIOM. A graduate of the state defense at the Faculty of Logistics of the Military University of Technology (WAT). She won the first place for giving and publishing a paper entitled “Social media as a threat to security and defense” at the II National Conference of Scientific Clubs of the Military University of Technology. A member of the science club Securitas et Defensio WAT. 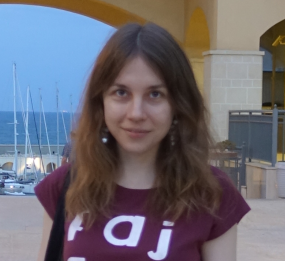 Her scientific interests focus on the issues of information operations and cybersecurity. Habilitated Doctor, Eng – assistant professor at the Command and Naval Operations Faculty, Polish Naval Academy in Gdynia. Former Police officer. He was a member of Interpol and Europol expert groups for cybercrime. He is the author or co-author of monographs and scientific papers in Polish and English. He is also an expert witness in the cybercrime area. A graduate of the University of Silesia and the Koźmiński University. Currently member of Security Operations Center operating within the Vattenfall group. Previously, he worked in various roles for the EY and IBM corporations. Professionally interested in the area of IT / OT security monitoring. IT security expert, member of ComCERT.PL Team, the team that delivers IT incident response related services. She graduated in the field of Cryptology and Cybersecurity at the Military University of Technology. Chairwoman of the science club dealing with cybersecurity, in which she takes an active part in Capture The Flag competitions. Specialist in the Mediarecovery computer forensics laboratory. His main duties include data analysis, licensing of intellectual property computer software and cases related to offenses against business. Author of nearly 350 forensic expertises. Participant in training courses and courses organized by US and German specialist companies, among others. X-Ways and Guidance Software (EnCase). He is a certified internal auditor of the Information Security Management System in accordance with ISO 27001. He has repeatedly participated in securing computer data during operations performed by public security and public safety authorities. Has a personal security clearance authorizing access to classified information marked with a confidential clause. Forensic expert in the field of computer science, as well as an officer of the internal office of the Police. Earlier, Michał was an officer of the special operations department of the Central Bureau of Investigation of the Police and the department for combating cybercrime of the Central Bureau of Investigation of the Police for many years. Has over ten years of experience in computer forensics and data recovery. 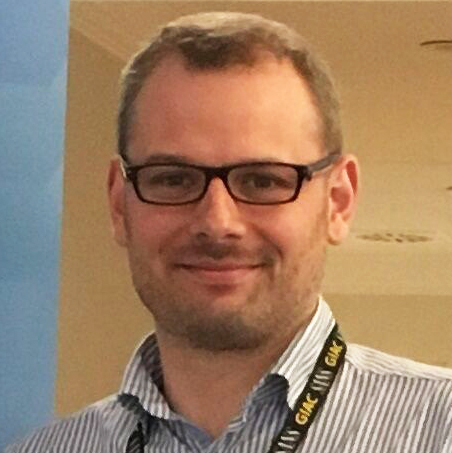 Mariusz is Cybercrime Specialist in EY Forensics team. He graduated from Cybernetics Department of Military University of Technology in Warsaw in Information Technology field, specialized in Cryptology. 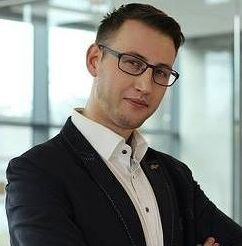 Mariusz was engaged in projects related to security incident handling by utilizing forensics data analytics, eDiscovery and digital forensics techniques. He took part in multiple Polish and international engagements during which he dealt with various types on security incidents – from insider threat to telecom cyberattacks. 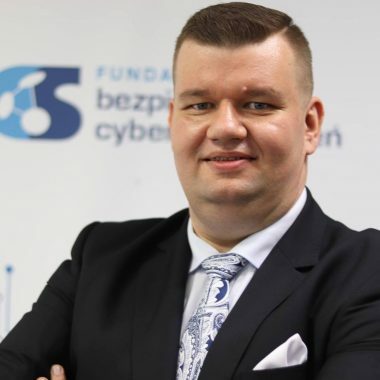 He is a frequent speaker on Polish cybercrime and cybersecurity conferences. In his talks, he covers i.a. techniques allowing to identify criminals utilizing cryptocurrencies. 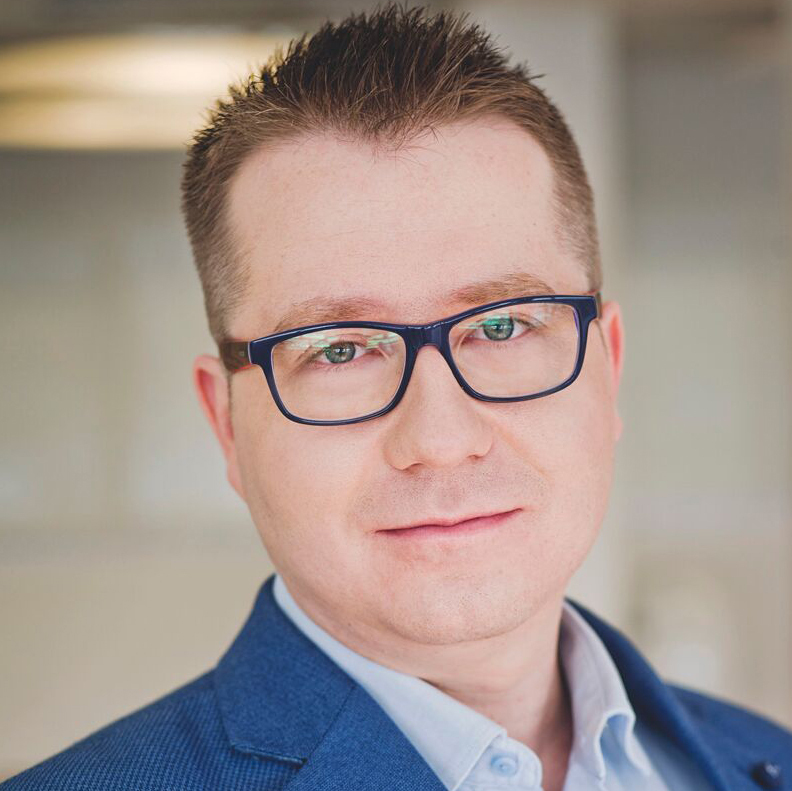 Paweł Łakomski is an experienced IT professional with focus on IT security, cloud services and virtualization. Currently he is working for Microsoft where his responsibilities include Windows client security and deployment. 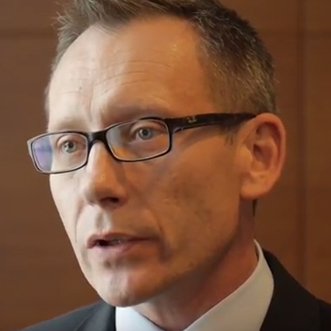 He works for customers in all sectors acting as a trusted advisor in digital transformation. Apart from Microsoft technologies he is experienced and certified in Citrix and VMware solutions, among others. 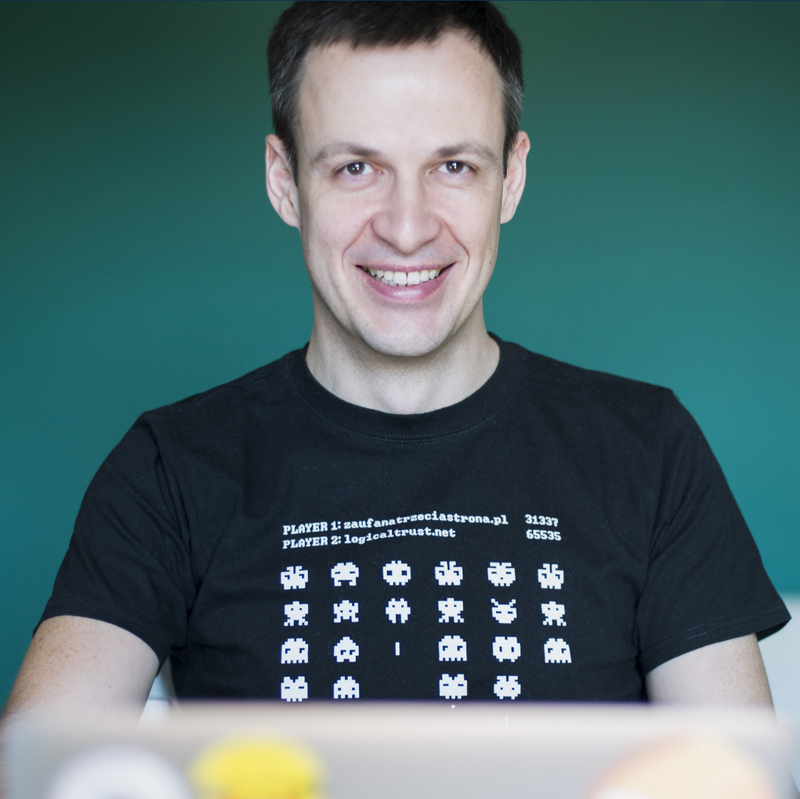 Paweł was a speaker at many technology conferences and he loves sharing knowledge. He is passionate about technology and believes that we can use it to make the world a better place. Paweł lives in Warsaw, Poland. Robert Michalski is a security consultant with over 18 years of experience at the neck and many recognized certificates in the field of security. A committed follower of independent, logical thinking. Eponym Monty Python. 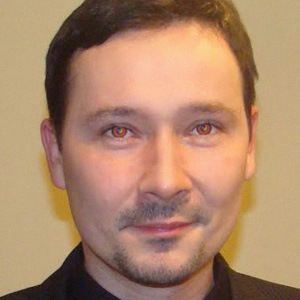 Michał Ostrowski has been working in IT Security for over 15 years. Currently holds a position of a Regional Director for Eastern Europe at FireEye. 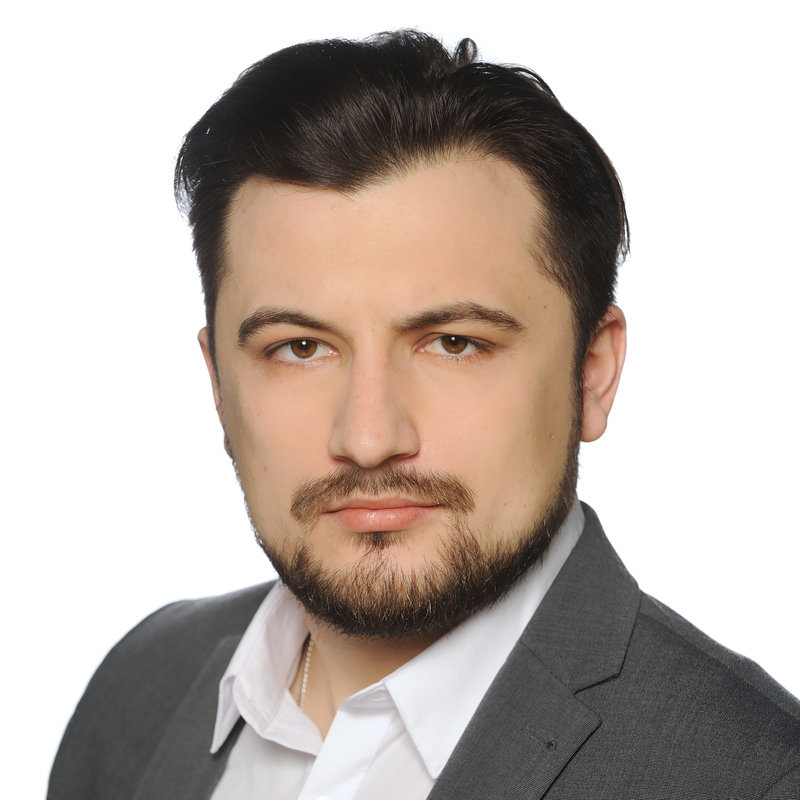 He has possessed an extensive knowledge about IT security solutions and he has a vast experience in cooperating with largest companies and government agencies across Eastern Europe. From 2000, he co-founded CERT Polska and the basis of good practice in the performance of forensic expertises. Repeatedly appointed as a court expert from outside the list of experts – so-called expert in the field. Author of the expert opinion, which helped to end the problem of the so-called “Dialers”, stretches programs for huge telephone bills (this was still the time of dialed access to the Internet – the famous number 0202122). Organizer of the “Dyżurnet.pl” team in NASK structures – a hotline for reporting undesirable content on the Internet – in cooperation with the European Commission as part of the “Safer Internet Action Plan” project. 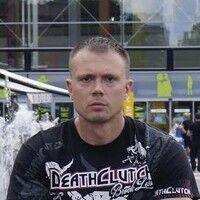 From 2002, he was an associate lecturer at the Higher Police School in Szczytno, training police staff in prosecuting crimes in the field of computer techniques and a member of the program committee of the conference “Technical Aspects of Computer Crime”. For his work for law enforcement agencies, he was awarded the Bronze Order for Merit for the Police in 2015. 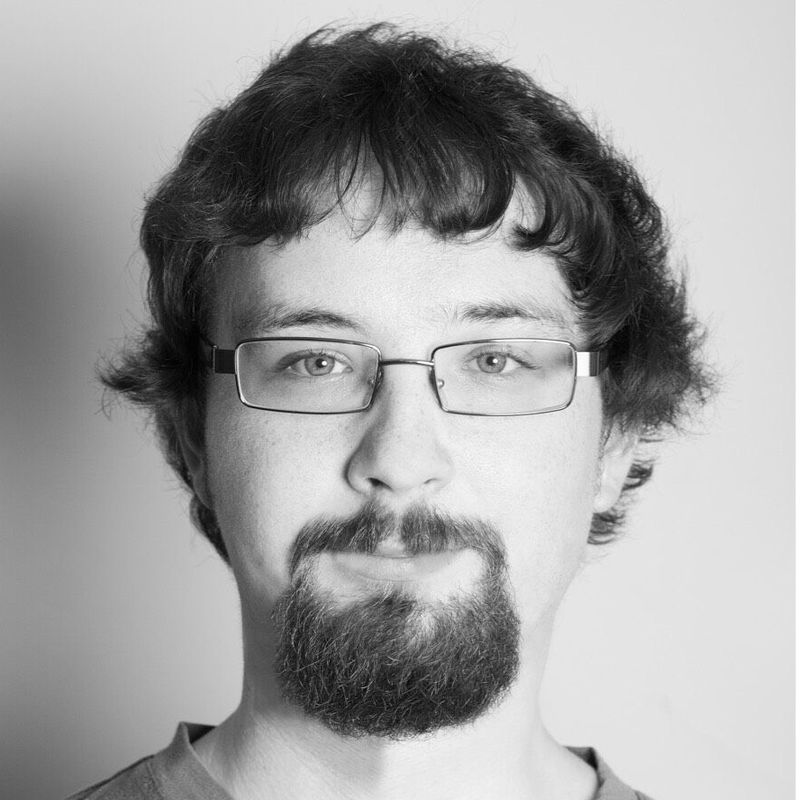 Since 2007, he has been working for Team Cymru, one of the best and most trusted teams in the world, aimed at making the Internet a safer place. A Legal Advisor with 20 years’ experience, admitted to the Warsaw Bar of Legal Advisors. Graduated from the Faculty of Law at the Adam Mickiewicz University in Poznań. Artur specializes in information and communication technology law (ICT). He advises clients from the Internet and telecommunication sectors, particularly on telecommunication services, e-commerce, data security and internet domains. He is an expert at the European Network and Information Security Agency (ENISA) in regulatory, privacy and data protection. He cooperates with the Internet Corporation for Assigned Names and Numbers (ICANN) and the World Intellectual Property Organization (WIPO) and in the past has cooperated with the Council of European National Top Level Domain Registries (CENTR). He is an active participant in International Telecommunication Union (ITU) meetings and counsel to the Cyber Security Foundation. He was also a member of the Telecommunication Operators Group and the E-Media Committee at The Polish Chamber of Information Technology and Telecommunications (PIIT). 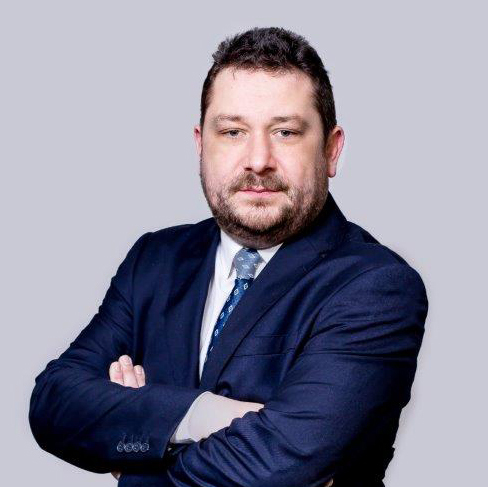 He is also a co-founder of the Domain Names Arbitration Court at PIIT, where he headed the legal works and a co-founder of domain case law at the Arbitration Court at the Polish Chamber of Commerce (KIG). Artur cooperates with the Foundation for Cybersecurity and the Kościuszko Institute in Kraków on a daily basis. 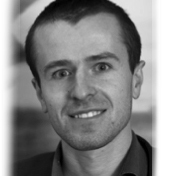 Previously, Artur worked as a general legal counsel at the Research and Academic Computer Network (NASK), representing the PL Register in Poland and international organizations. Warsaw University of Technology graduate. Recently supports the Forcepoint’s human-centric approach to cyber-security. Professional ly interested in network security and data-loss prevention techniques. A graduate of the Warsaw University of Technology with twelve years of experience in the field of Security and Networking. Formerly a solution architect at IBM and Dimension Data. Specialist in the cloud environments security. 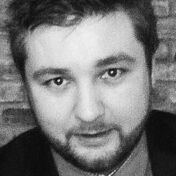 Alexander Raczyński is a Systems Engineer at Forcepoint. 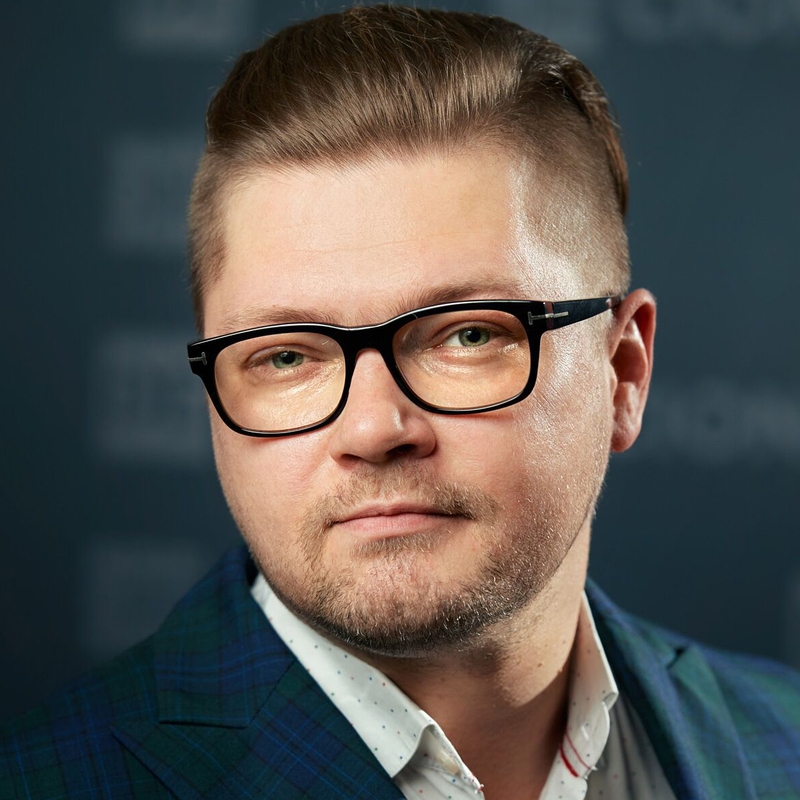 He is responsible for technical support of Forcepoint solutions during the whole sales process in Central and Eastern Europe. Alexander represents the company at customer site; he works close with Websense channel partners and participates at many IT Security events. Alexander Raczyński has studied Computer Science at the University of Paderborn (Germany). 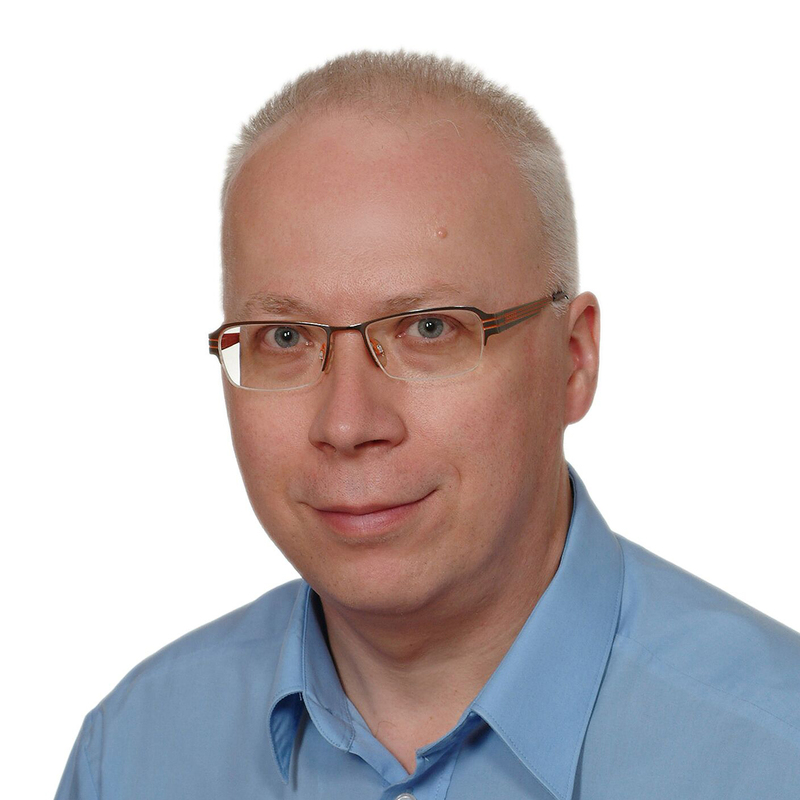 His experience is based on many years of work for many IT security Companies in Poland and abroad. Since around 2014 dealing with (more or less) private and professional security mainly IT security. Thanks to winning competition on Securak.pl in 2015, obtaining CHFI certificate (Computer Hacking Forensic Investigator). Interested mainly in detection on an “incident” rather than its generation or repair. For several years he is working as SIEM / SOC analyst in various companies, so he is looking for problems, not always where people want to see them. 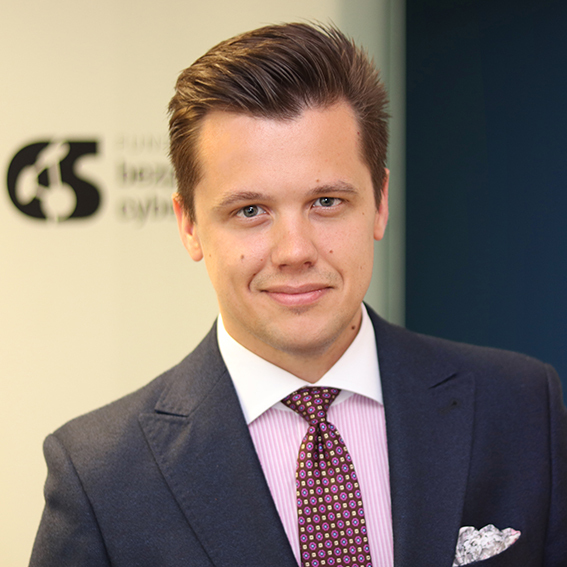 Paweł works as a senior security consultant at SecuRing. 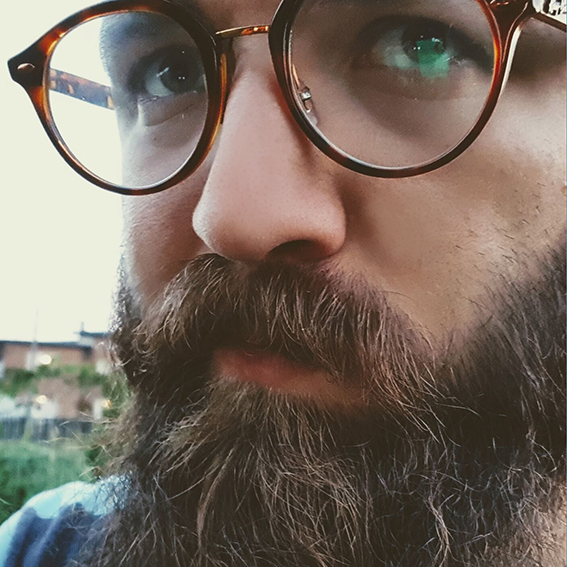 He has extensive experience in the area of security gained among others as a pentester at EY GSS, a fuzzer developer for Spirent, a security auditor at Credit Agricole or a threat analyst at IBM SOC. His skills are confirmed by acquired OSCP, eMAPT and AWS SAA certificates. 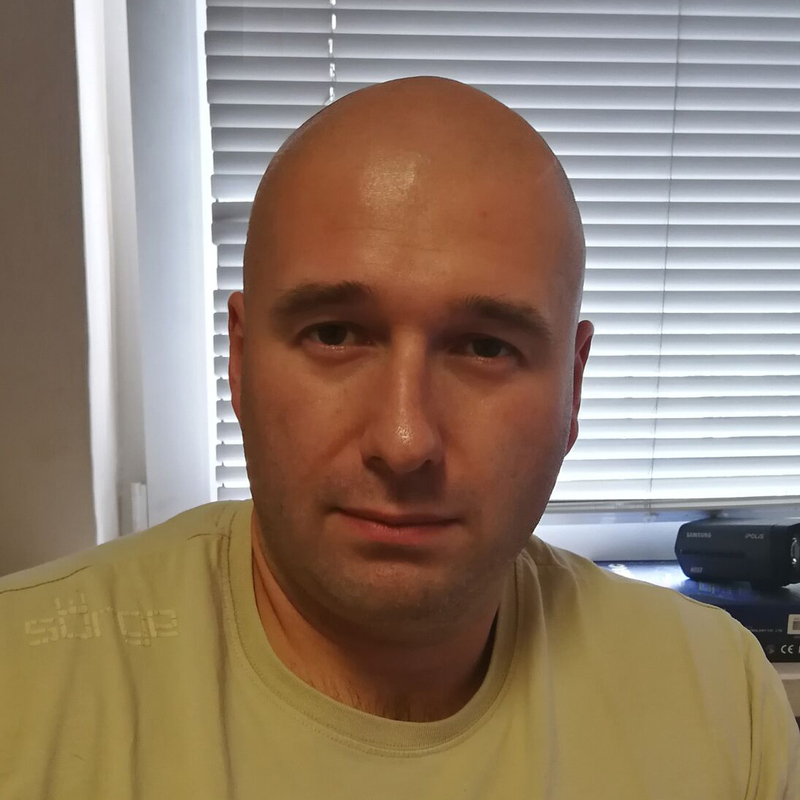 Paweł actively supports the OWASP community by co-creating the OWASP MSTG project and helping in the organization of local OWASP meetings in Wrocław. 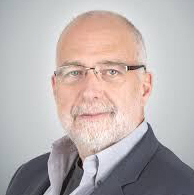 Foy Shiver is President and CEO of Woodstock Clinical Data Systems, Deputy Secretary-General of the APWG (Anti-Phishing Working Group) and one of the founding directors of APWG.EU, a European foundation headquartered in Barcelona. In 2004 Mr. Shiver assumed management of operations of the nascent non-profit Anti-Phishing Working Group. He has helped develop this organization into a global industry, law enforcement and research group dedicated to countering the growing threat of electronic crime. In 2005, Mr. Shiver accepted the appointment as Deputy Secretary-General of APWG for which he is charged with cultivating the membership base around research, education and policy issues to fight cybercrime and electronically mediated fraud. In this role Mr. Shiver has worked since 2006 to grow APWG’s eCrime Research Summit into an annual event that has published 50+ peer reviewed cybercrime research papers through IEEE. In that brief, he founded its scholarship program that is now funded, in large part, by the IEEE-SA. In 2013 Mr. Shiver worked with APWG and CaixaBank in Spain to found the new European Foundation APWG.EU. This foundation is harnessing resources focused on cybercrime research and education within the European Union and plays a leadership role in inspiring cybercrime research across the globe. 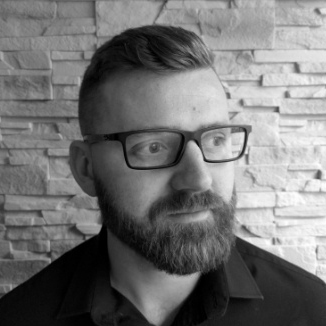 Jason Smith is Technical Director EMEA for Skybox Security and has been working in the IT Security space for almost 15 years across many major vendors, covering network, application and cloud security challenges. Expert in the field of information technology and quality, environment, work safety and information security management systems, including personal data protection. He has many years of experience in implementation, consulting and training projects, i. a. consulted certified implementations of management systems in accordance with many standards, including ISO 9001 and ISO 27001, he has conducted trainings for auditors and quality managers, the training in area of management systems. Expert completed a lot of implementation projects of management systems in institutions of the private and public sectors, according to the standards such as ISO 9001, ISO 14001, ISO 18001, ISO 27001 and in the field of personal data protection. 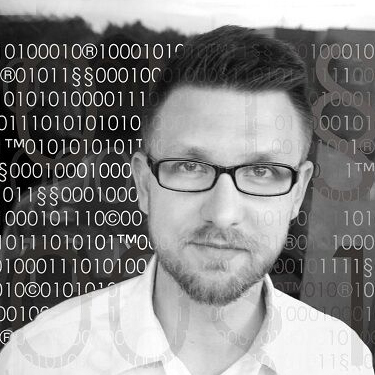 Tomasz Szczygieł is a graduate of engineering studies in the field of computer science at Rzeszów University of Technology and post-graduate studies in the management of classified information and personal data protection at the University of Information Technology and Management in Rzeszów. IT Security and computer forensic specialist, currently SOC team member in the Vattenfall IT Services Poland, operating withing the Vattenfall group in Europe. He was a part of the Mediarecovery computer forensic lab for 5 years, where he gained experience in the field of data security and analysis as well as post-incidental processes, worked as trainer and published specialist articles about computer forensic. 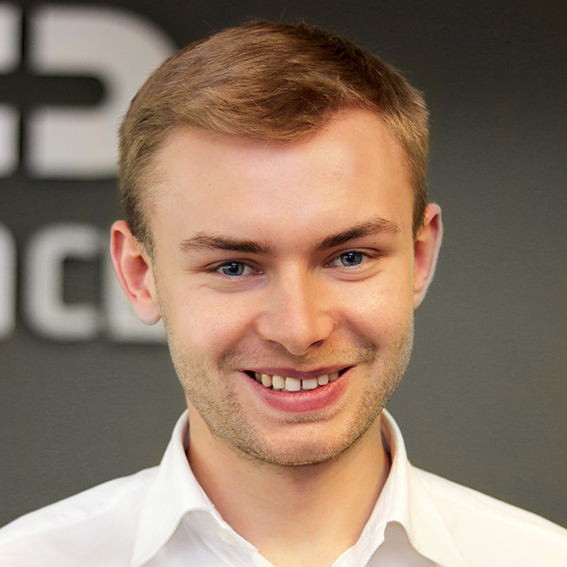 Kacper is Detection Engineer at ESET. After work he finds bugs especially in open source software. 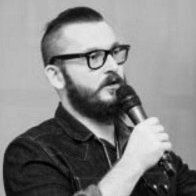 He shares his knowledge using technical blog: security.szurek.pl and also YouTube channel. 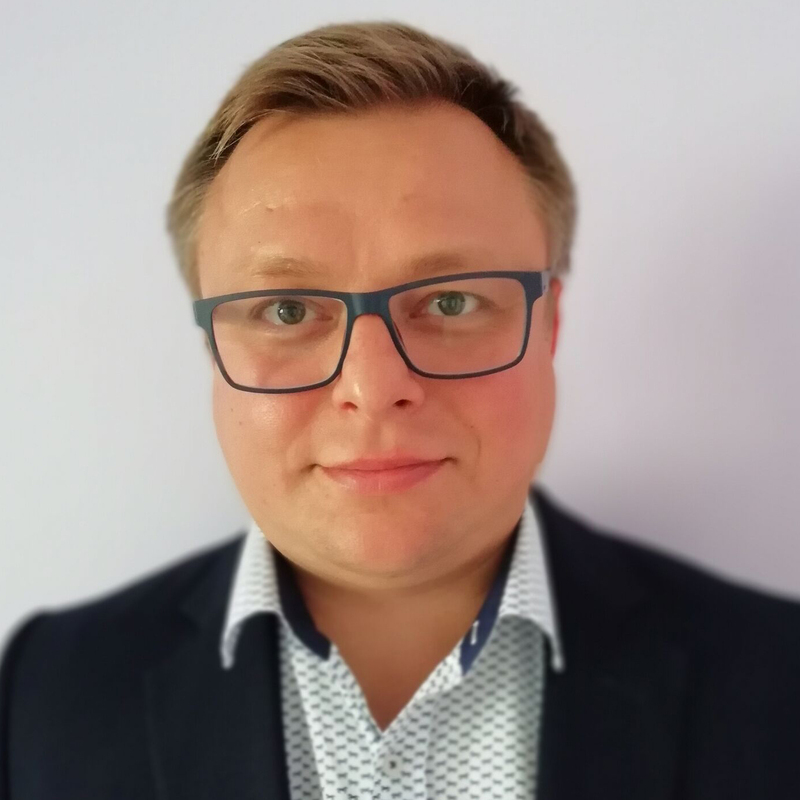 For many years cybersecurity specialist in Wrocław Centre for Networking and Supercomputing, where he deals with the administration and security of network services (server systems, databases, network services admin). Graduate from Computer Science (Wroclaw University of Technology) and Cyber Security Management. Coordinator of the project for public key infrastructure (PKI) implementation in the PIONIER network. In the field of IT systems security he effectively combines the gained knowledge with over 10 years of experience. Being an independent consultant he analyzed hundreds of computer incidents. Engaging in the development of methods for detection and analysis of threats to widely understood IT infrastructure, he prepares technical and organizational (policies and procedures) solutions aimed at increasing the security level of the organization. Defensive approach to cybersecurity lover and “blue team” participant at training games dedicated to incident response. The designer of security-oriented architectures and highly available IT solutions (starting from the physical layer, through network layer to the application layer). Specialist in mobile device analysis (Mobile Forensics). Team leader for Mobile Devices Management (MDM) deployments in business and public sector. He carries out author projects for ENISA, the European Network and Information Security Agency. Trainer. He publishes specialist articles in Computer Forensics and IT Sec Magazine. A graduate of the Silesian University of Technology. Specializes in dat a analysis, with special focus on Nuix solutions. She trains, teaches, conducts workshops, and when she does not, she closes herself in the laboratory and performs investigative analyzes. Co-author of the publication “Investigative informatics in the fight against corruption and economic crimes”. A graduate of the Faculty of Management and Marketing at the University of Economics in Wroclaw. 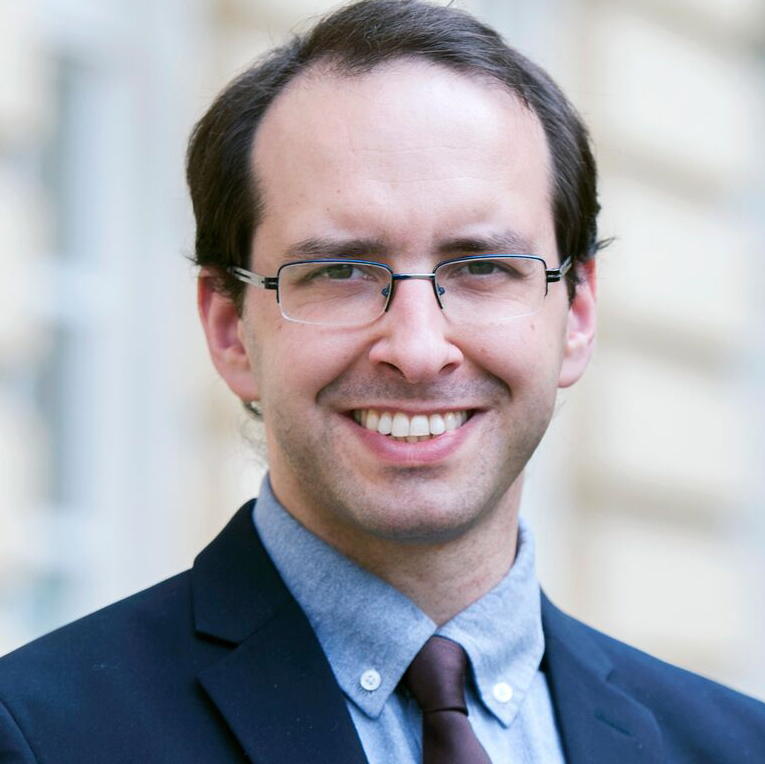 Since 2001, he has been auditing the international expert organization DEKRA, where he currently coordinates specialized audits of processes and standards (Assessment Services). He has over 15 years of experience in implementing audits of quality standards and information security for the retail industry. His circle of clients includes many recognized retail and service chains. He also specializes in business process optimization, verification of service and sales quality standards, risk management, audits of meeting legal requirements (GDPR), industry standards, internal policies and guidelines set by contractors. Scientific assistant at the Department of Computer Science, IEiT Faculty of AGH University of Science and Technology in Krakow. A graduate of cognitive science at the Jagiellonian University. Currently involved a PhD student in computer science at AGH. Has several years of experience in development of IT tools supporting data analysis and visualization. Expert in the requirements analysis and the user interface design in accordance with the principles of usability and user experience for criminal analysis and computer forensics software. Daniel Voss represents Digital Shadows across the region. He works with leading organisations & assist them with understanding the risks and threats that are exposed in their external digital footprint. 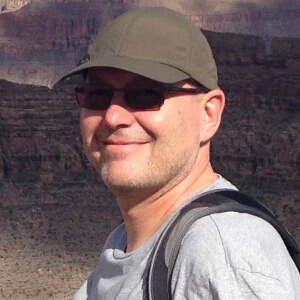 Helmut is Enterprise Securioty ARchitect at RSA. 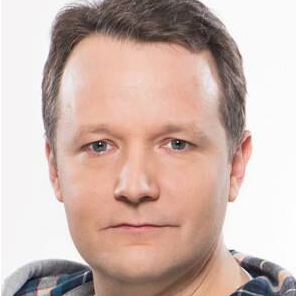 In his role Helmut is responsible for providing technical expertise in support of pre-sales activities in the DACH and EE region. He assists customers and partners in the analysis, design and development of fully integrated technology solutions. Currently he works as an advisor for implementing the RSA Netwitness Suite. 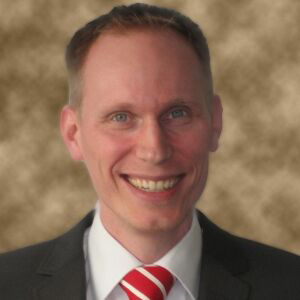 Helmut has over twenty-five years experience in data communication, systems management, multi-channel banking and focused on Information Security for the last ten years. Tomasz Wodziński jest vice-prezesem ds. edukacji w ISSA Polska, (jednej z najstarszych) organizacji skupiającej pasjonatów i specjalistów bezpieczeństwa IT. Niedawno zakończył pracę etatową w firmie Exatel S.A. – operatora telekomunikacyjnego, dla którego od pierwszych dni z powodzeniem współtworzył Security Operations Center w modelu MSSP. Jest zwolennikiem technicznego zabezpieczenia organizacji opartego o analizę ryzyka oraz gorącym orędownikiem subtelnych programów awarness dla pracowników. Legitymuje się wiedzą branżową potwierdzoną przez najważniejsze organizacje bezpieczeństwa jak ISC2 (CISSP), ISACA (CISA), EC-Council (CEH), SANS (GCIH). Obecnie wspiera organizacje chcące powołać swoje centra bezpieczeństwa (techniczny monitoring i reagowanie na incydenty) w przygotowaniu procesów, doborze optymalnych narzędzi, zatrudnianiu i szkoleniu wewnętrznych kadr oraz optymalizacji działania SOC’ów przez subtelny hardening środowiska rozwiązań informatycznych. Lecturer in War Studies University in Warsaw. For a long time he deals in professional, didactic and scientific work with military reconnaissance system, information processes, and especially with the assessment of military and non-military threats. He is an author of many teoretical and practise publication. What is more he is an implementer and a member of projects and scientific-research work. Technological advisor responsible for substantive support of sale process in Microsoft Poland. He has lifetime experience in delivering presentation, trainships and workshop in field of Infromation Security, application and mobile devices. He is passionate about IT technologies delivered from cloude, motocycle travel and mixed martial art. 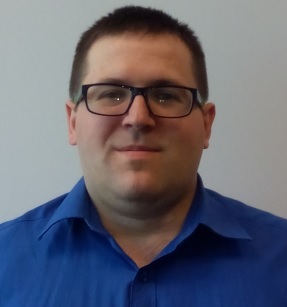 Adam Ziaja has been in the IT security field for over a dozen years, both working in IT related positions and extending his knowledge and experience as part of his after-work activities. Currently working as an Principal Cyber Security Consultant at own company Red Team Red Team (B2B, VAT-UE and VAT-PL) with services such as penetration testing (pentest), red teaming, cyber threat hunting i.a. intelligence (CTI), computer forensics and incident response (DFIR). During his infosec career he made expert opinions for law enforcement and justice authorities (computer forensics), worked as an ICT security specialist at a CSIRT (aka CERT) team where he actively tracked cybercrime activity (cyber threat intelligence) focusing on preventing attacks on government and critical infrastructure, and moreover, worked as a full time penetration tester for one of the world’s largest banking groups Royal Bank of Scotland (RBS), as well as performed penetration tests for other financial institutions (i.a. international banks, payment card issuers, cryptocurrency exchanges) and well known e-commerce companies. Last times he worked as senior cyber security consultant at one of the big four companies Deloitte, where he was responsible for enterprise cyber risk services such as penetration testing, CPH red teaming and DFIR. Also worked as cyber security expert at a US startup focusing on new generation IDS/SIEM, responsible for research on cyber threat hunting. I’m Spokesperson of the Minister-Special Services Coordinator, before that for over 10 years I have worked as journalist and publicist. Graduate of the Faculty of Journalism and Political Science, University of Warsaw. Between 1991-2001 worked in the Ministry of Foreign Affairs in a department responsible for relations with the post-Soviet states. His area of competence was the withdrawal of the Russian army from Poland, cooperation with the Kaliningrad Oblast and bilateral relations with Ukraine, Belarus and Moldova (1994-1999) and with Russia (2000-2001). Since October 2001 he has worked at the Centre for Eastern Studies, where his key research area is the system of institutions responsible for internal security in the post-Soviet states. Remigiusz Żuchowski graduate Officer’s School in Torun. He started his military service in 1998 in 9 Armored Cavalry Brigade. He participate in Iraq military mission twice. 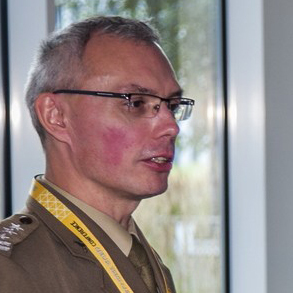 He serve in Eurocorps structure in Strasbourg and in General Staff of the Polish Armed Forces . This year he was called on position in Headquaters of Polish Territorial Defence Forces. 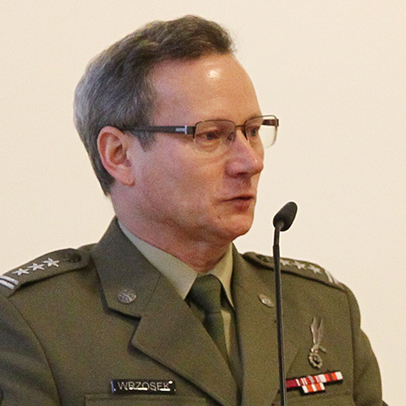 Colonel Żuchowski deals with theory and practise of analyse infromation environment since 2009.